Following the unprecedented approval of three drugs in six months to treat neuromuscular diseases, we're pushing for more progress with $7 million in new research funding. Because of our generous supporters, we've committed more than $1 billion in research over the last six decades, focused on finding treatments and cures for muscular dystrophy, ALS, and related life-threatening diseases. From the very first projects, to those announced this winter, MDA-supported scientists have made promising discoveries that could change the lives of our families and loved ones. 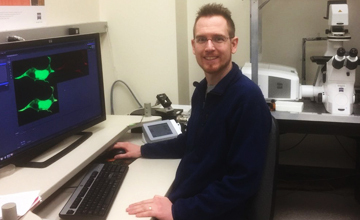 Aaron Beedle, at Binghamton University – SUNY, in New York, was awarded an MDA research grant totaling $300,000 over three years to conduct preclinical studies of a potential therapeutic strategy for limb-girdle muscular dystrophy (LGMD) and congenital muscular dystrophy (CMD). Dystroglycan-related muscular dystrophies are caused by abnormal processing of the protein alpha-dystroglycan. The abnormal processing impairs alpha-dystroglycan function, causing muscular dystrophy with variable involvement of the heart, brain and eyes. Dystroglycan-muscular dystrophies are caused by mutations in many different genes, making it difficult to develop gene therapy strategies because there are so many gene targets. With colleagues, Beedle aims to test a pharmacological approach to inhibit a common intracellular pathway for growth and survival that involves a protein called mTOR. The team will conduct studies in a mouse model to test whether treatment with an mTOR inhibitor can improve muscle function, reduce pathology and extend lifespan, without causing adverse drug effects in the mice. There preclinical studies will determine if inhibitor drug therapy can reduce disease severity in dystroglycanopathy mice, and translation of positive findings to the clinic could be quick since several FDA-approved drugs in this pathway are already in use in other diseases, including in some pediatric populations. Funding for this MDA research grant began Feb. 1. 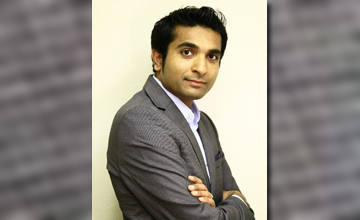 Vijayendran Chandran, assistant professor in the department of pediatrics, University of Florida School of Medicine in Gainesville, was awarded an MDA research grant totaling $300,000 over three years to identify biomarkers in Friedreich’s ataxia (FA). FA is caused by deficiency of the frataxin protein. With colleagues, Chandran has developed a mouse model for FA, that exhibits symptoms similar to those seen in people with the disease and in which he can control the onset and progression of disease. Now the team will use the new model to identify biomarkers at different stages of disease that could predict disease onset and progression in humans. If successful, Chandran’s work could help clinicians and researchers measure and predict disease progression, and aid in preclinical development and testing of potential FA treatments. Funding for this MDA research grant began Feb. 1, 2017. 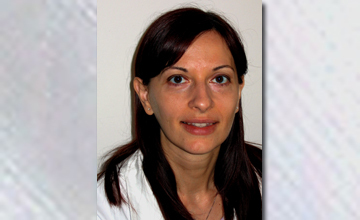 Manuela Corti, assistant professor in the department of pediatrics at the University of Florida in Gainesville, was awarded an MDA research grant totaling $298,954 over three years to study gene therapy in Friedreich’s ataxia (FA). FA is caused by gene defects that result in insufficient levels of the frataxin protein in cells. With colleagues, Corti will work to establish a high-impact treatment for FA that involves delivering fully functioning frataxin genes to cells in the heart and nervous system. The team will determine the best route of delivery for the frataxin gene, and test the safety of repeated delivery of the gene in combination with medications that will prevent immune-system reactions against the frataxin protein. If successful, the work will help optimize gene therapy approaches to treat FA. 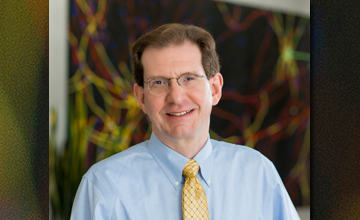 Charles Emerson, professor of neurology and director of the Wellstone Muscular Dystrophy Program at University of Massachusetts Medical School in Worcester, was awarded an MDA research grant totaling $300,000 over three years, to study the contribution of genes and epigenetic modifications to facioscapulohumeral muscular dystrophy (FSHD) disease processes. With colleagues, Emerson will work to increase understanding about the underlying molecular processes that determine disease severity, which can vary greatly, in FSHD. 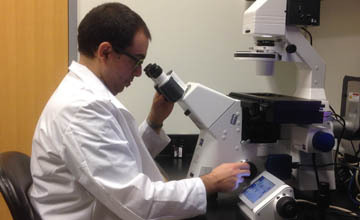 The team will investigate the molecular expression and functions of FSHD disease genes through a comparison of skeletal muscles produced from stem cells derived from FSHD patients with early-onset severe infantile disease, and muscle produced by stem cells derived from FSHD patients with adult-onset mild disease. If successful, Emerson’s work may enable identification of new drug targets and development of stem cell and drug therapies designed specifically to reduce or eliminate the symptoms of FSHD. 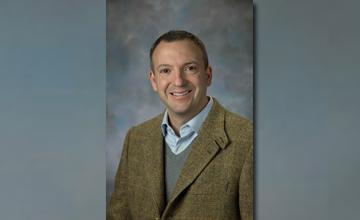 Darin Falk, assistant professor in the department of pediatrics at the University of Florida in Gainesville, was awarded an MDA research grant totaling $300,000 over three years to elucidate mechanisms underlying Pompe disease. 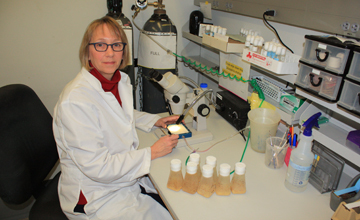 With colleagues, Falk will investigate the relationship and relative rates of disease development observed between skeletal muscle and the central nervous system. The team has generated a rat model of Pompe disease that closely mimics the presentation observed clinically in humans. Using the model, they aim to determine what factors lead to respiratory deficiency in Pompe disease. In addition, the team will work to identify the best strategy for treatment using gene therapy and immunomodulation. If successful, the work could lead to development of a gene-therapy-based treatment for Pompe. Funding for this MDA development grant began Feb. 1, 2017. 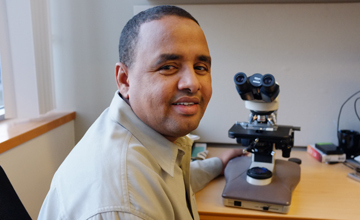 Mohamed Farah, assistant professor of neurology and neuroscience at Johns Hopkins School of Medicine in Baltimore, was awarded an MDA research grant totaling $300,000 over three years to investigate whether a drug currently in development for Alzheimer’s disease can improve function in ALS (amyotrophic lateral sclerosis). It’s thought that repair and regrowth of motor nerve endings might result in restoration of function for motor neuron diseases such as ALS — particularly slowly progressing forms. 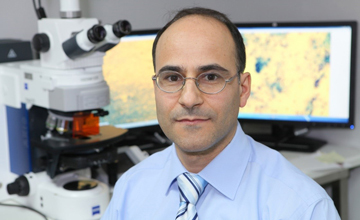 In previous work, Farah and colleagues discovered that manipulating the amount of BACE1, an enzyme whose job it is to cut other proteins into pieces, enhances peripheral nerve regeneration in mice. Those studies prompted the team to explore the possibility that using a drug to reduce BACE1 might be an effective means to encourage motor axon regrowth at an early stage of motor neuron disease in mice. Because BACE1 inhibitors currently are being developed and tested as potential therapies for Alzheimer’s disease, Farah’s work could lead to rapid development and clinical evaluation of BACE1 inhibitors in motor neuron diseases. If successful, the approach could enhance the quality of life of people with ALS or other motor neuron diseases. 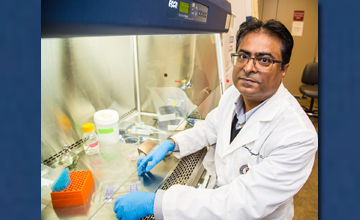 Laxman Gangwani, associate professor in the department of biomedical sciences at Texas Tech University Health Sciences Center in El Paso, Texas, was awarded an MDA research grant totaling $280,500 over three years to identify therapeutic targets in spinal muscular atrophy (SMA). While promising SMA therapies are being tested in patients — and one, Spinraza, recently was granted FDA approval — it is important to continue to identify new and different approaches that could be used in combination with other therapies already approved or currently in the pipeline. With colleagues, Gangwani has shown that the activation of a motor neuron-specific version of an enzyme called JNK3 mediates neurodegeneration in SMA and that inhibiting it provides neuroprotection and ameliorates disease symptoms. Now the team will examine the effects of pharmacological inhibition of the JNK enzyme using JNK inhibitors in an SMA mouse model. If successful, Gangwani’s work could lead to the identification of drug candidates for further development and testing as potential treatments for SMA. 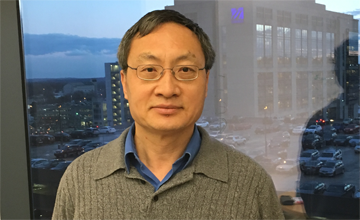 Fen-Biao Gao, professor at the University of Massachusetts Medical School in Worcester, was awarded an MDA research grant totaling $300,000 over three years to identify new drug targets for ALS (amyotrophic lateral sclerosis). C9ORF72 repeat expansion is the most common genetic mutation known to cause ALS. In this and several other forms of the disease, damage to DNA has been identified as a common, downstream pathway that can contribute to the death of nerve cells called motor neurons. To understand how the C9 mutation drives the disease, Gao and colleagues have generated induced pluripotent stem cells (iPSCs) from C9 ALS patients and developed them into motor neurons and cortical neurons that recapitulate some key features observed in diseased cells, such as abnormal accumulation of RNA “clumps” and production of unusual toxic proteins. The team will use the iPSC-derived motor neurons as well as fruit fly models of ALS to investigate what causes DNA damage, and will perform a screen to identify new drug targets based on the findings. Gao’s work will greatly enhance understanding of ALS disease mechanisms and may lead to the identification of key components in the DNA damage pathway that may serve as targets for therapy development. 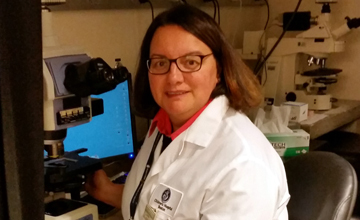 Emanuela Gussoni, associate professor at Boston Children’s Hospital and Harvard Medical School in Boston, was awarded an MDA research grant totaling $297,985 over three years to study the role of a protein called CD82 in Duchenne muscular dystrophy (DMD). In DMD, muscle stem cells are thought to be continuously active as they attempt to repair muscle fibers that are damaged due to lack of dystrophin and/or its associated proteins. Gussoni and colleagues recently identified a cell surface marker for muscle stem cells in human and mouse muscle, named CD82. CD82 is expressed in human muscle satellite cells. Importantly, CD82 protein expression is reduced in human DMD and in the muscles of a DMD mouse model called mdx5cv. The team will now study the function of CD82 in muscle stem cells to determine how the decreased expression of this protein in dystrophic cells is linked to disease progression. The studies will provide the groundwork for developing future therapies aimed at boosting expression of CD82 as a way to stabilize the cell membrane, along with muscle stem cell function, in DMD-affected muscle. 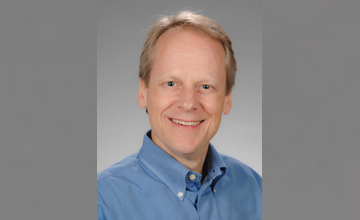 Scott Harper, associate professor of pediatrics at Ohio State University College of Medicine in Columbus, was awarded an MDA research grant totaling $300,000 for three years to test a gene therapy for facioscapulohumeral muscular dystrophy (FSHD). Because FSHD is caused by expression of the toxic DUX4 gene in muscle, one potential therapeutic strategy is to reduce or “turn off” DUX4. Before new treatments can be used in humans, they must first be tested in animal models to ensure that they work and are safe. In the case of FSHD, it would be ideal to have an animal model that expresses DUX4 and has diseased muscles, which could then be treated with an anti-DUX4 therapy. Although scientists have created mice that contain the DUX4 gene in their chromosomes, the mice did not develop muscle disease, making them less than ideal. With colleagues, Harper has developed a new mouse model of FSHD that exhibits signs of muscle disease. Now the team will characterize this model and use it to test an experimental gene therapy designed to inhibit DUX4. If successful, Harper’s work could pave the way toward the development of therapies for FSHD. LGMD and Miyoshi myopathy – Marshall Hogarth, Ph.D.
Marshall Hogarth, postdoctoral fellow at Children’s Research Institute, Children’s National Health System in Washington, D.C., was awarded an MDA development grant totaling $180,000 over three years, to improve understanding of the molecular and cellular basis of the fatty replacement of muscle in type 2B limb-girdle muscular dystrophy (LGMD) as well as in Miyoshi myopathy. Gradual replacement of muscle with fat is a feature of the pathology in both LGMD2B patients and mice with insufficient levels of dysferlin protein. Loss of muscle function in LGMD2B patients and mice is correlated with the fatty conversion of muscle, which may suggest that the processes leading to fatty muscle conversion are significant to the disease process. In a mouse model of dysferlin deficiency, Hogarth and colleagues have mimicked age- and injury-induced fatty conversion and degeneration of muscle similar to that observed in LGMD2B patients. In addition, they have developed a new mouse model where fatty conversion and muscle dysfunction associated with dysferlin deficiency has been attenuated. Now, in studies conducted in these mouse models, the team will work to determine the cellular mechanism underlying the fatty replacement of LGMD2B muscle and identify approaches to prevent the process in order to inhibit loss of muscle function. If successful, Hogarth’s work could enable therapeutic development to slow or block disease progression by preventing muscle loss. It could also compliment gene therapy approaches to restore dysferlin expression and improve muscle repair. 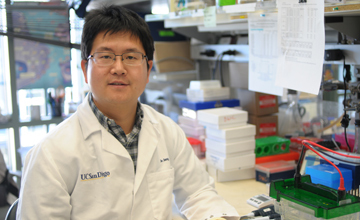 Jie Jiang, postdoctoral fellow at the Ludwig Institute for Cancer Research, University of California – San Diego, in La Jolla, Calif., was awarded an MDA development grant totaling $180,000 over three years to improve understanding of the disease mechanisms underlying the most common inherited form of ALS (amyotrophic lateral sclerosis). Expanded repeated sections of DNA (GGGGCC hexanucleotide repeats) in a non-coding region of the C9ORF72 gene have been identified as the most common genetic cause of ALS and frontotemporal dementia (FTD), another neurological disease characterized by behavioral and language changes. It’s uncertain, however, if disease is caused by reduced levels of normal C9ORF72 protein and/or by toxic RNA and proteins manufactured using instructions encoded in the extra DNA. Jiang and colleagues will work to determine whether the loss of normal C9ORF72 protein synergizes with toxic RNA and proteins to exacerbate disease in research mouse models. 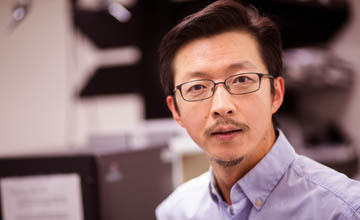 Jiang’s work may guide direction of therapy development for C9ORF72 ALS/FTD. Henry Kaminski, Meta A. Neumann Professor and Chair of the department of neurology at George Washington University in Washington, D.C., was awarded an MDA research grant totaling $367,187 over three years to test a therapeutic strategy in cell and rat models of myasthenia gravis (MG), with the intent to demonstrate the feasibility of the approach and then move to human clinical trials. Most people with MG have antibodies against the acetylcholine receptor, located at the nerve-muscle communication point. These antibodies activate the complement system, which is a normal defense mechanism of the body to fight infections. But in MG the acetylcholine receptor antibodies, with the help of complement, destroy the muscle surface that transmits signals from the nerve. Kaminski and colleagues have developed a technology that is designed to inhibit complement only at the nerve-muscle junction, thereby stopping the injury to the muscle and preserving normal complement function everywhere else in the body. The team will test their agent in cells and rat models of MG, with the intent to demonstrate the feasibility of the approach. 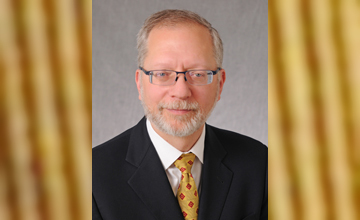 Kaminski’s work may lead to the development and testing of a complement inhibitor drug that has increased efficacy, limited side effects and lower cost of production than other similar drugs in development today. Tejvir Khurana, professor in the department of physiology & Pennsylvania Muscle Institute, Perleman School of Medicine at the University of Pennsylvania in Philadelphia, was awarded an MDA research grant totaling $240,000 over three years to test a therapeutic strategy for Duchenne muscular dystrophy (DMD). DMD muscle is susceptible to damage because it is missing dystrophin, a protein that sits at the muscle cell membrane and is critical for maintaining the muscle’s structural integrity. One potential therapeutic strategy involves compensating for the lack of dystrophin with a similar protein. One such protein, utrophin, is a naturally occurring structural protein that closely resembles dystrophin and performs a very similar function in the muscle. 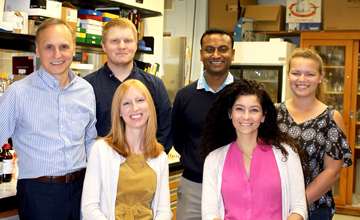 With colleagues, Khurana aims to develop utrophin upregulation as a therapeutic strategy to rescue dystrophic muscle in DMD. The team has found that utrophin expression is inhibited by the micro RNA let-7c, and will work to develop an inhibitor to this miRNA and test whether disinhibition of utrophin improves muscle function in a mouse model of DMD. If successful, the work will demonstrate the potential of this therapeutic strategy and pave the way toward its development for use in humans. Kleopas Kleopa, professor and senior consulting neurologist at the Cyprus Institute of Neurology and Genetics, Cyprus School of Molecular Medicine, in Nicosia, Cyprus, was awarded an MDA research grant totaling $119,999 over a period of two years to test whether gene therapy treatment after disease onset could lead to functional improvements in CMT1X, the second most common form of Charcot-Marie-Tooth disease (CMT). With previous MDA support, Kleopa and colleagues pioneered a gene therapy approach to treat the X-linked form of CMT, showing that a single lumbar injection of the gene that is mutated in the disease was associated with production of normal protein in nerves and improvement of peripheral nerve health and motor performance. 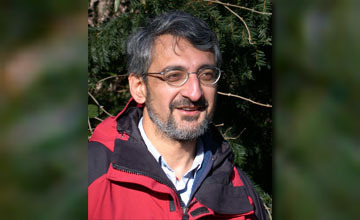 Kleopa’s new work, co-funded by the CMT Association, will advance and expand on this approach as his team examines whether repeated injections can lead to increased protein levels, and tests whether treatment at later stages of the disease can lead to improvement similar to that seen for treatment in the early stages. Albert La Spada, professor of pediatrics, cellular & molecular medicine, neurosciences, and biological sciences at the University of California, San Diego, in La Jolla, Calif., was awarded an MDA research grant totaling $300,000 over three years to study disease mechanisms in spinal-bulbar muscular atrophy (SBMA). X-linked SBMA is an inherited neuromuscular disorder characterized by lower (spinal cord) motor neuron degeneration. SBMA is caused by expanded sections of DNA called CAG/polyglutamine repeats in the androgen receptor gene. La Spada has focused on defining the cellular and molecular basis of SBMA by using a variety of approaches, including neurons grown in culture, genetically engineered mice, and “stem cell” models derived from SBMA patient skin cells that are reprogrammed to become pluripotent stem cells and which can then be differentiated into motor neurons and skeletal muscle. With colleagues, La Spada has shown that expression of mutant androgen receptor protein in skeletal muscle leads to muscle dysfunction, which could be one of the causes SBMA. The team now looks to determine how this skeletal muscle dysfunction might differ from the disease process occurring in motor neurons and elucidate how these diseases processes could lead to SBMA. If successful, the work could pinpoint tissue-specific targets for therapy development, with implications not only for SBMA, but for other motor neuron diseases as well, including spinal muscular atrophy and ALS. 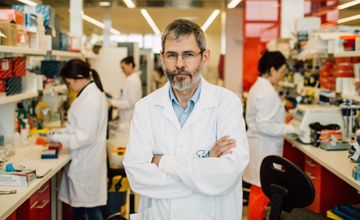 Nigel Laing, National Health and Medical Research Council principal research fellow and head of the Neurogenetic Disease Laboratory at the Harry Perkins Institute of Medical Research, The University of Western Australia in Perth, was awarded an MDA research grant totaling $149,412 over two years to test two potential gene therapy treatment approaches for McArdle disease. McArdle disease occurs when an important enzyme that is required to break down energy stores in skeletal muscle is missing. With colleagues, Laing will to test two potential gene therapy methods for treatment of McArdle disease in a mouse model. For the first method, the team will deliver a normal version of the missing enzyme — an approach Laing says is likely to cause an immune reaction as the body of a McArdle disease mouse (or a human patient) will not have seen the enzyme before. 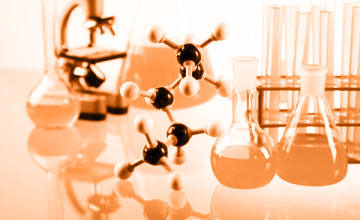 In a parallel set of experiments, the team will deliver an alternative version of the enzyme. This alternative enzyme is normally found in adult brain tissue and in fetal skeletal muscle, where it has the same function as the missing enzyme in skeletal muscles. It is not missing in individuals with McArdle disease. Because the alternative version is so similar to the adult skeletal muscle enzyme, it may sufficiently restore enzyme function in McArdle disease muscle if it is increased to adequate quantities — without causing an immune reaction, as the body has already been exposed to it. Laing’s work, if successful, could lead to therapies that could improve muscle function in McArdle disease. 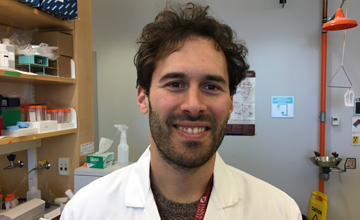 Eduardo Balsa Martinez, a postdoctoral fellow in the division of cancer biology at the Dana-Farber Cancer Institute in Boston, was awarded an MDA development grant totaling $180,000 over three years to identify therapeutic targets in mitochondrial diseases such as mitochondrial myopathy. Mitochondria are small organelles found in cells. They are considered the “powerhouse” of the cell and are necessary to sustain life and support growth. When mitochondrial function is disrupted, high energy-demanding tissues such as brain and muscles are severely affected. Restoring the cell’s ability to produce energy represents one therapeutic approach to treating mitochondrial disease. With colleagues, Balsa Hernandez has developed a platform using cells carrying mitochondrial mutations to screen for genes and compounds that could restore mitochondrial function. In addition, they have uncovered a compound that targets a specific class of protein called BRD4. In studies, the compound was shown to prevent cell death and alleviate some of the symptoms caused by mitochondrial mutations. Now, using mouse models designed to mimic the features found in human mitochondrial diseases, the team will determine how the compound works at the molecular level and evaluate its safety and therapeutic potential. If successful, Balsa Hernandez’ work could form the basis for the development of drugs designed to ameliorate the effects of mitochondrial myopathy and other mitochondrial diseases. James Novak, postdoctoral associate at Children’s Research Institute, Children’s National Health System in Washington, D.C., was awarded an MDA development grant totaling $180,000 over three years to examine why exon skipping drugs are most effective at getting to muscles that are actively undergoing repair. The work, co-funded by the Hearst Foundation, is expected to help optimize the effectiveness of exon skipping therapies in Duchenne muscular dystrophy (DMD). DMD is characterized by muscle degeneration, inflammation and fibrosis (scarring), resulting from mutations in the dystrophin gene that inhibit production of dystrophin protein. Exon skipping, a promising therapeutic strategy for DMD, employs antisense oligonucleotides to permit the production of shortened but partially functional dystrophin protein. However, challenges including limited drug uptake and variable dystrophin restoration have been barriers in clinical testing. Understanding the mechanisms that impinge on drug delivery is crucial to improving efficacy and advancing next-generation therapies. Novak and colleagues have shown that exon skipping drugs are best able to get into muscle cells that are undergoing repair. Now the team will investigate muscle regeneration and inflammation as therapeutic targets to improve delivery of exon skipping drugs. Investigation of antisense delivery into different mouse models with differing pathologies is expected to delineate factors and define mechanisms that regulate exon skipping. If successful, Novak’s work will clarify the disease processes that contribute to efficient delivery and efficacy of leading antisense agents and help to make this promising therapeutic strategy for Duchenne more effective. Maria Pennuto, associate professor at Dulbecco Telethon Institute Lab of Neurodegenerative Diseases, Centre for Integrative Biology (CIBIO) at the University of Trento in Italy, was awarded an MDA research grant totaling $300,000 over three years to increase understanding of disease mechanisms that underlie spinal-bulbar muscular atrophy (SBMA). SBMA is a genetic disease that affects nerve cells called motor neurons. It is caused by a mutation that results in the expansion of a section of DNA in the gene that encodes the androgen receptor protein, which is the receptor for the male hormone testosterone. When testosterone binds to a mutant androgen receptor, it becomes toxic. With colleagues, Pennuto will work to determine how a mutation in the androgen receptor leads to motor neuron degeneration. They will test the hypothesis that the function of the androgen receptor is specifically regulated in neurons and that this level of regulation is altered by the mutation that causes SBMA. In addition, the team will investigate how the function and the structure of the androgen receptor are modified in neurons in response to activation of specific cellular proteins that can directly modify the disease protein. Pennuto’s work could lead to increased understanding of why motor neurons are vulnerable in SBMA and point to new drug targets for potential SBMA therapies. 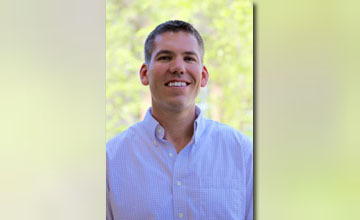 Alexander Polster, assistant research professor in the department of physiology and biophysics at the University of Colorado Denver, was awarded an MDA development grant totaling $180,000 over three years to study the interactions of among disease proteins causing periodic paralysis and central core disease (CCD). Electrical signals produced by the nervous system trigger muscle contraction. This process, termed excitation-contraction (EC) coupling, depends on two key proteins: the dihydropyridine receptor (DHPR) which is located in the membrane surrounding the muscle cell, and the type 1 ryanodine receptor (RyR1) located inside the cell. Mutations in these proteins result in serious muscle diseases in humans, including hypokalemic periodic paralysis and CCD. A recently-identified adaptor protein called Stac3 plays an important role during muscle development and contributes to the process of signal transmission during EC coupling by binding to the DHPR. However, the precise mechanism of signal transmission during EC coupling between RyR1, DHPR and Stac3 remains elusive. Polster and colleagues will explore the molecular communication between these three proteins by identifying and characterizing the contributions they make to various aspects of EC coupling. The team aims to determine how the proteins interact and why mutations in them cause muscle disease. 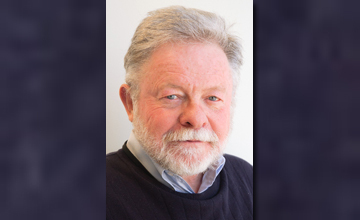 If successful, Polster’s work will provide further insight into EC coupling, the modulation of cardiac and skeletal muscle calcium channels, and potential treatment strategies in muscle diseases. Araya Puwanant, assistant professor in the department of neurology at the University of Pittsburgh, was awarded an MDA research grant totaling $298,852 over three years to try to facilitate therapy development by identifying practical and reliable endpoints in myotonic dystrophy (DM). Myotonic dystrophy is characterized by progressive muscle weakness, muscle stiffness, and multi-organ involvement. In recent years there has been significant progress in developing specific treatment for this condition, but there is a critical need to identify outcome measures that are sensitive and appropriate to monitor disease progression and therapeutic response in the disease. Dual Energy X-ray Absorptiometry (DEXA) scan is a simple imaging technique that has been used to quantitate lean tissue mass in other forms of muscular dystrophy. However, this technique has not yet been carefully evaluated in DM. With colleagues, Puwanant will test whether DEXA measurements in affected muscles may provide a sensitive endpoint that can be bridged to meaningful clinical outcomes for clinical trials in DM. If successful, Puwanant’s work could help prepare for new clinical trials and drug approvals in DM by making available practical, cost-effective and time-efficient endpoint measures for DM-associated myopathy in multi-center setting. 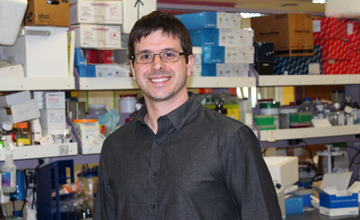 Mattia Quattrocelli, at the Center for Genetic Medicine, Northwestern University – Chicago, was awarded an MDA development grant totaling $180,000 over three years to study the effects of glucocorticoids on muscle repair and regeneration in Duchenne muscular dystrophy (DMD). The work, co-funded by the American Association of Neuromuscular & Electrodiagnostic Medicine Foundation for Research and Education (AANEM), is expected to help improve glucocorticoid-based treatment strategies in DMD. Currently, people with DMD often are treated with chronic administration of glucocorticoids, although the mechanism by which steroids exert their effect on DMD is not well understood. Furthermore, the use of steroids in other forms of muscular dystrophy is not recommended. And chronic steroid use is associated with significant side effects including obesity, loss of bone mass, growth suppression and — paradoxically — muscle degeneration, too. With colleagues, Quattrocelli will examine the effects of steroids on dystrophic muscle repair and regeneration potential, and investigate the molecular circuitries linking these drugs to known pathways important in the pathology of muscular dystrophies. Quattrocelli’s work could provide valuable insights for understanding the action of steroids with regard to the role of other genetic mutations influencing the course of muscular dystrophy. The work will address muscle repair mechanisms as potential drug targets for muscular dystrophies and could help design corticosteroid regimens to support muscle repair and boost muscle growth, while minimizing side effects. 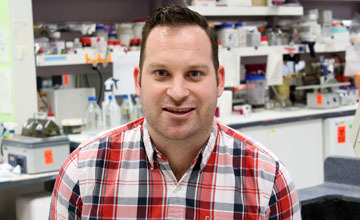 Eric Shoubridge, at McGill University in Montreal, Québec, was awarded an MDA research grant totaling $287,169 over three years to study a new gene linked to ALS (amyotrophic lateral sclerosis). The recent discovery of mutations in a mitochondrial gene, CHCHD10, in patients with ALS, frontal temporal dementia (FTD) and other motor neuron diseases, implicates mitochondrial pathology as a cause of disease in some patients. CHCHD10 belongs to a family of proteins containing a specific motif that targets it to mitochondria, but its function remains almost completely unknown. With colleagues, Shoubridge is working to elucidate the normal function of this protein and determine how mutations in it can cause ALS. The team plans to work out the basic biology of CHCHD10 in human cell culture models (muscle cells and skin cells) and to carry out the crucial experiments in motor neurons from patient-derived induced pluripotent stem cells. They will investigate the composition of CHCHD10 protein complexes, and comprehensively evaluate how mitochondrial function is altered in the face of disease-causing mutations. Finally, they will generate a zebrafish model containing ALS causative mutations, in which researchers will directly be able to evaluate the requirement of CHCHD10 for normal motor neuron function. If successful, Shoubridge’s work could lead to important insights into the involvement of mitochondria in ALS and reveal new drug targets. 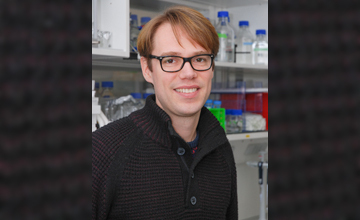 Erik Storkebaum, independent Max Planck Research group leader at the Max Planck Institute for Molecular Biomedicine in Münster, Germany, was awarded an MDA research grant totaling $291,000 over three years to study the underlying mechanisms that drive the disease process in Charcot-Marie-Tooth disease (CMT). Familial forms of neurodegenerative diseases are caused by mutations in single genes. In an individual person, a single mutation in a neurodegeneration gene causes disease, but across a range of people, different mutations in the same disease gene typically occur. Furthermore, for a given neurodegenerative disease, distinct disease genes often encode proteins that function in the same molecular or cellular pathway. It is unknown whether mutations in related genes, or even in a single gene, cause disease through a common molecular mechanism, or whether different mutations cause disease through disparate mechanisms. This is a key question from a therapeutic perspective, as common mechanisms may allow for unified therapeutic approaches. Mutations in five distinct genes encoding proteins called tRNA synthetases, which play an essential role in the production of proteins in cells, all cause CMT. Storkebaum and colleagues will work with fruit fly models of CMT to determine whether different mutations across four distinct tRNA synthetase genes cause disease through the same or through disparate molecular mechanisms. Should the results indicate that all mutations cause disease through a similar molecular mechanism, it could guide development of a common therapeutic approach to treat all forms of CMT caused by mutations in tRNA synthetases. 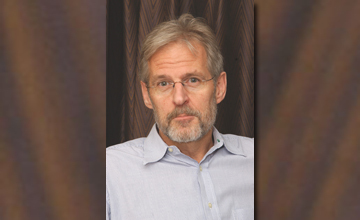 Maurice Swanson, professor in the department of molecular genetics and microbiology at the University of Florida College of Medicine in Gainesville, was awarded an MDA research grant totaling $300,000 over a period of three years to generate new research models for myotonic dystrophy (DM) and use them to test new therapeutic strategies. One of the limiting factors for myotonic dystrophy therapy development has been a lack of animal models that recapitulate many of the aspects of the disease in humans. With colleagues, Swanson will generate new mouse models for both type 1 and type 2 DM. The team will use the models to investigate the molecular basis for the clinical differences and similarities between the two types of the disease. In addition, the team will test a new therapeutic strategy that involves blocking the production of disease-causing DMPK and CNBP expanded RNAs in all tissues of the body, including the central nervous system, by using small molecules that cross the blood-brain barrier. If successful, the work could lead to the development of a new therapeutic strategy for DM. Lori Wallrath, professor and vice chair in the department of biochemistry at the University of Iowa in Iowa City, was awarded an MDA research grant totaling $285,254 over three years to screen for drug targets aimed at restoring muscle function in Emery-Dreifuss muscular dystrophy (EDMD). Mutations in the human LMNA gene cause rare types of muscular dystrophy, including EDMD, limb-girdle muscular dystrophy type 1B and congenital muscular dystrophy (CMD), that are often accompanied by heart problems. The LMNA gene makes proteins called lamins that form a meshwork lining the inner membrane of the nucleus — the cellular organelle that houses genomic DNA. Lamins provide structural support for the nucleus as well as organize the DNA. But how mutations in this gene cause muscular dystrophy is not well understood. Working with fruit fly models of muscular dystrophy, Wallrath and colleagues perform genetic studies and analyze muscular defects in ways that are not possible in humans. Her team has found that mutant lamins cause abnormal molecular signaling in muscle cells that contributes to muscle disease. Now, with the goal of preventing and/or correcting the muscle defects, the team is using genetic tools to treat the fruit flies with drugs that alter these pathways and assessing any restoration of muscle function. In addition, the team has used cell culture techniques to turn skin cells from muscular dystrophy patients into heart and muscle cells. These cells show similar abnormal signaling as observed in the fruit fly muscles, and Wallrath’s team is treating these cells with drugs that block the signaling to determine whether this potentially could be a new therapeutic strategy for lamin-associated muscular dystrophy. If successful, Wallrath’s work could pave the way to development of therapies that could restore muscle function caused by LMNA mutations. Jiou Wang, associate professor at Johns Hopkins University in Baltimore, was awarded an MDA research grant totaling $300,000 over three years to work toward a better understanding of the underlying cause of ALS (amyotrophic lateral sclerosis). Decades of research on SOD1 and other recently discovered ALS-associated genes have revealed that increased understanding of the mechanisms of protein misfolding and quality control in neurons is a critical step toward understanding ALS and related neurodegenerative diseases, including frontotemporal dementia. Perturbation of protein quality control is a common theme in most forms of ALS, so there could be broad impact from these studies. With colleagues, Wang will work with fly, mouse, and human stem cell models of ALS to increase understanding of how protein quality control goes awry in ALS and whether better maintenance of protein homeostasis could be a viable therapeutic avenue to explore for the disease. The team has recently identified genes that modulate specific protein quality control pathways. Now they will explore whether these pathways could yield new drug targets for ALS. Thurman Wheeler, assistant professor in the department of neurology at Massachusetts General Hospital in Boston, was awarded an MDA research grant totaling $330,000 over three years to develop biomarkers for myotonic dystrophy (DM) and other muscle disorders. In the recently-concluded clinical trial testing a candidate antisense oligonucleotide (ASO) drug for DM type 1 (DM1), monitoring the potential drug effects required that patients undergo multiple muscle biopsies, a procedure that is invasive, painful, and, in pediatric patients, requires general anesthesia. Wheeler and colleagues are working to develop biomarkers in human urine or blood that will reduce or eliminate the need for muscle biopsies to determine whether treatments are working; can be measured multiple times as needed during the trial, and will enable inclusion of children with myotonic dystrophy in upcoming trials. Wheeler’s work, if successful, may be applicable to many different treatment strategies for both myotonic dystrophy types 1 and 2, as well as extend to other muscular dystrophies and neuromuscular disorders.